The Team concept is easy to understand: When you have a Team of specialists, each performing a role in which they excel, the results will be greater than the sum of the individual parts. The beauty of this concept for you is that you don’t pay us any more than you would to an individual Realtor. In short, you get a whole team of real estate professionals for the price of one. Brett Furman Group focuses heavily on Internet marketing because it is so critical to the success of our clients. Like any company, though, it is people that make all the difference. What makes us unique in the market is that we are a team of specialists. Each person works only in the area that compliments their natural strengths and skills. Put simply, our people are very good at what they do. When we put the work of all these people together into a true team approach, the results are outstanding. 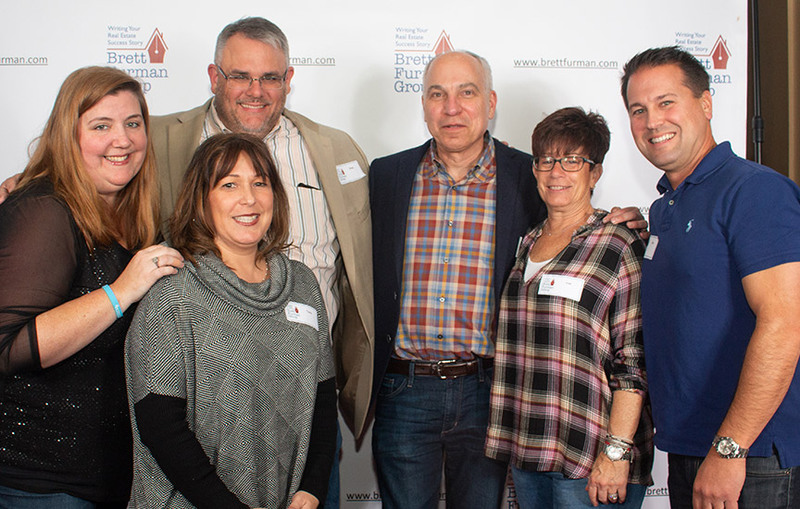 A couple years before we were ready to sell, my husband and I attended a restaurant presentation by Brett Furman on how to prepare for selling your house. As our house was 60+ years old, we thought we could get some good ideas. He gave each participant a copy of the book that he wrote: "What you really need to know about selling your house," which was a treasure-trove of useful information. We were impressed enough by his knowledge and professional style that we thought we might use him in the future so we asked him to look at our house and give recommendations for improvements even though we weren't ready to sell yet. We did some early projects based on his suggestions that proved to be beneficial later. As the time grew near that we wanted to relocate for our retirement, we contacted him again. He remembered us from his visit years before and came totally prepared with information on comparable homes that sold in the area and helped us set the price. He recommended a few additional changes such as repainting some of the rooms and having all the windows professionally cleaned which we did. We also did the pre-sale inspection, which alerted us to do a few repairs we needed to make. He gave us contacts of workers to help us with these final finishing projects. He had pictures professionally taken and used drone photography to show our house in relation to the neighborhood and landscape. He also included 3D models and floor plans of our house through Matterport photography software, which were so well done you felt you were actually walking through the house online. In the "doll house" mode you could see the entire interior of the house at once in various angles as if the walls were transparent. Amazing! Our house sold within days of being active. In fact, day #3, a Saturday, we had nine showings with four more scheduled for the following day. We got a great offer that same weekend which we accepted. We were able to complete our part of the settlement paperwork early, which enable us to pack up and move to our new location. He was present at the actual settlement and things finalized without a hitch! We would definitely recommend Brett and his team. We had an extremely positive and successful experience!! Brett and his team are simply outstanding. His detailed knowledge of the local real estate market is impressive, and his work ethic is second to none. He really puts in the time and energy to get his clients the best possible result. My first experience with Brett was in 2014, when he helped my family sell a property that had failed to move for months under another realtor. More recently, Brett worked with us to identify and acquire our new home. He expertly guided us through the complex acquisition of a bank-owned property. The result was a fantastic property at a very favorable price. I've recommended Brett to all of my family and friends in the greater Philadelphia area. I trust him to provide them with the very best advice and service available. In addition, Brett has an extensive network of contacts that he has made available to us that have proven to be immensely helpful. My wife and I give Brett and his team our highest recommendation. "Our experience with Brett Furman was EXCELLENT!! From the moment we met him, we realized he is not your average Realtor. Brett was always available and worked around our schedules. He responded to our emails and phone calls 7 days a week. This was our 4th real estate transaction and by far the BEST experience we ever had with a Realtor. We will never use any but Brett in the future. I feel like we have built a real lasting relationship with him. We never appreciated how much or what value a Realtor can provide you until working with Brett. He is an awesome negotiator and absolutely knows what he is doing. He walked us through EVERYTHING in the house we purchased leading up to and on settlement day. He made sure everything went smoothly and there were no surprises. One of the things that is most impressive is that his service doesn’t stop when the transaction is complete. He has called us a couple times this past month since we closed on the house just to check in, see how things are going and if we needed his help with anything. He even called us in the middle of the last snow storm we had to check in and make sure the house was holding up ok! Now that is A++ service, he has absolutely exceeded our expectations. We never appreciated what a GREAT Realtor can do for you or the value they provide and money they save you UNTIL we met Brett Furman! Brett also has a great network of vendors and contractors for virtually any service you can imagine. He has put us in touch with several contractors to do some work around our new house. THANK YOU BRETT!" 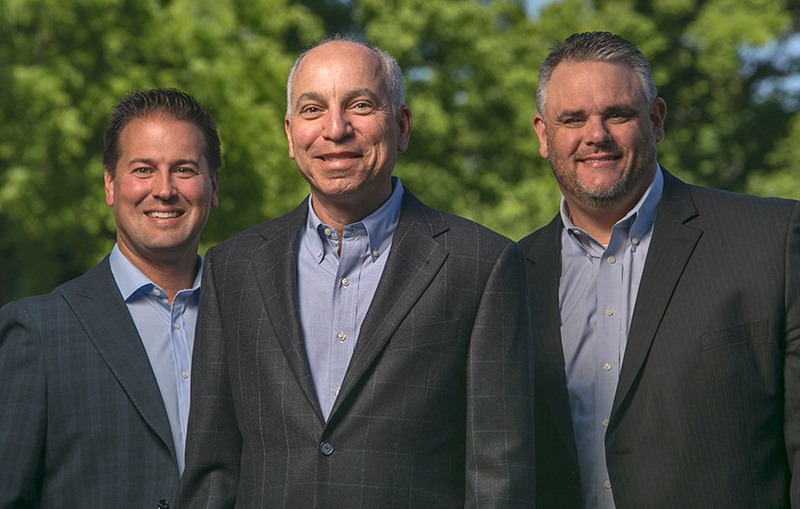 Brett and his team helped me sell my mother's house after she moved to an assisted living community. His marketing of her home was outstanding with the best quality photos and virtual tour. Any time I had a question, Brett or Doug would get back to me in a timely manner and always gave me detailed answers. They have a good feel for the market and let me know whenever there was a showing and what type of feedback was given. I would highly recommend Brett and his team if you are looking to sell your home. Brett assisted my husband and I as we planned for and ultimately sold our family home of 20 years to down-size and move into the city. This was a challenging transition for us and Brett was supportive and non-judgmental throughout the process. We found Brett to be available and responsive. I appreciated his calm reassurance while my husband valued his analytical knowledge. With Brett's help, we had an agreement of sale within 3 weeks time! A real gentleman. The for sale sign went up and the house sold in a day. negotiating was easy, my opinion was always handed with tact. my phone calls were quickly answered as well as all questions. I had been in the house for 28 years but the move went smoothly. I've been meaning to write you regarding the sale of our house that you recently handled. As you are aware I attended one of your seminars and was impressed enough to ask you to come by and discuss listing our house. That subsequent meeting was very beneficial. You laid out what you believed was necessary to make the sale go as fast and painlessly as possible. This included getting a pre-inspection, a property estimate and a stagger. The photographer you used provided 3D imaging which was fantastic and certainly helped in the sale. Obviously, the proof is in the pudding, because the house sold within one week for above the listing price! It also set a new record for comps selling for over 12% more than any other similar house in the neighborhood...WAY TO GO BRETT! I can't speak more highly of you and your team, as proven by the results, it pays to go with a true professional. Thanks again. My fiancee and I were looking to purchase our first house and we decided to work with Brett Furman after reading all of the positive reviews on Angie's List. We met with him to discuss what exactly we were looking for, and he provided his expert opinion and advice about the areas that we were looking to purchase. Brett set us up with daily e-mails from the MLS so we could be informed of any new homes that came onto the market. He was very responsive to any of our requests and scheduled home visits within 24-48 hours which was very important to us. When we walked through each house, Brett was able to point out cool features and potential problem areas that we would never have noticed ourselves. Once we finally found the right home for us, Brett suggested an inspection. He was able to use the results of the inspection to negotiate a fantastic deal for me and my fiancee. We knew we picked the right realtor as his many years of experience were a huge benefit to us during this process. After our offer was accepted, Brett communicated with us on a regular basis to make sure all the minor details were being taken care of. The entire home buying experience went very smoothly for us, and we couldn't be happier! Brett is a wonderful realtor and we would recommend him to anyone looking to buy or sell a house. We previously worked with 7 Realtors over the past 5 years. We were ready to give up our search until we met with Brett Furman. We were referred to him from a friend that had previously used him to sell and buy a home. Our friend gave Brett a glowing recommendation. We found Brett to be an extremely dedicated and knowledgeable agent. He was also very flexible getting us to see homes. He was the first agent that really took the time to understand our family and was able to match us with the perfect home. He was able to quickly obtain an estimate from a contractor which helped us to eliminate a home when we learned it would be too expensive to fix it up. He was also very knowledgeable of the components of old houses. We felt that Brett was dedicated to us as he would be dedicated to his family. He really cared about us and was never pushy. He was also very honest since he told us several times not to purchase a home because he thought the home needed too much work or was not worth the price. Summarizing: Honest, dedicated, flexible and treated us like we were part of his family. Brett Furman truly exceeded our expectations and we will be happy to refer him to our family and friends. I really enjoyed working with Brett Furman at RE/MAX Classic. The results of my transaction were outstanding. He sold my Rittenhouse Square Mansion for $3,350,000 in only 48 hours for $100,000 over my asking price. What was really amazing was how he orchestrated a cash sale with no contingencies. Brett’s marketing program produced great results. He went to work months before the property hit the market creating a custom visual tour, press release in phillymagcom, social media coverage, and a digital & mobile campaign which generated multiple bids. His staff was a pleasure and Brett is a great agent. We will definitely use him again. My wife and I were looking for an investment property in the Phoenixville area. I found Brett on Angies’s list and he worked as our agent for both the house purchase and subsequent rental. I could not speak more highly of Brett; he has a great knowledge of the local market, where to focus and he is very attentive. Brett always answered our questions and replied to emails and phone calls immediately. We found a great house in Collegeville and after three weeks of sprucing up – Brett had it on the Rental market and tenants in within two weeks. Thanks Brett, you could not have been a better agent. "We decided to interview several realtors. Brett impressed us in his first visit, because the knowledge of the area, precise insight about the market situation and almost mathematical calculation of real estate details. Nevertheless we decided to choose the realtor that offered us the largest asking price and the lowest commission. This was a big mistake that we regretted in the following weeks. We realized that an asking price is not based on wishes and desires but in market reality. After several painful weeks we released the initial agent and anxiously called Brett. Brett’s style was completely different. He had a formal market assessment to show us, and actively provided several recommendations to make the house more appealing. He produced beautiful pictures and an awesome video of the house. As we had left the house to move out of state, he kept a close eye on the property and called immediately to report any issue that should be taken care of. He provided constant reassurance and feedback on all the visitors. As people remained concerned about flooding issues, Brett went out of his way to help a buyer get the additional extra loan he required to buy the house. The buyer had always dreamt to have a stream in his backyard and he and his family were really happy to buy this property. Following the closing Brett was still available for us, recommending us to cancel insurances and asking us to forward him bills that should be in care of the new owner. We were extremely happy with the hard work Brett performed. In summary he is an excellent realtor, with solid knowledge of the area, outstanding work ethics and superb communication skills." 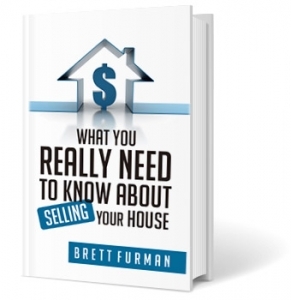 "Brett Furman has really exceeded our expectations of what an agent can do for both a seller and buyer. On the sell side, he was extremely knowledgeable of our local markets and the value of various improvements. Brett gave great advice on how to best stage our home, how to properly price it, and taught us some methods to gain negotiation advantage, Brett even gave us great (and reasonable) contractor recommendations to help with repairs in our current home. On the buy side, Brett really got to know me and my family, what’s important to us and the kind of lifestyle we’d like to live. He crafted his search well, accompanied us on many occasions to open homes, and even made appointments for us on the fly. Brett’s attention to detail amazed us as he pointed out issues or items to take note of when walking through homes. He sees EVERYTHING and knows whether it is something to be concerned about or not! His guidance was invaluable. On top of his A+ professional aptitude, we found Brett to be a truly genuine and compassionate person. He was honest and fair, respectful and responsive. When we ultimately chose not to sell our home, I delayed telling Brett because I was so embarrassed and felt horrible after all the work he’d done. When I finally did call, Brett was amazingly understanding and let me know he was still available to me for life no matter what. For sure, any time we ever need an agent again, we’re definitely calling Brett."